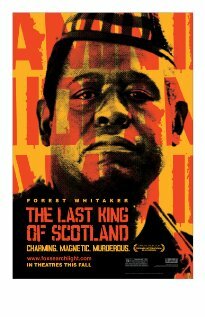 In an incredible twist of fate, a Scottish doctor (James McAvoy) on a Ugandan medical mission becomes irreversibly entangled with one of the world's most barbaric figures: Idi Amin (Forest Whitaker). Impressed by Dr. Garrigan's brazen attitude in a moment of crisis, the newly self-appointed Ugandan President Amin hand picks him as his personal physician and closest confidante. Though Garrigan is at first flattered and fascinated by his new position, he soon awakens to Amin's savagery - and his own complicity in it. Horror and betrayal ensue as Garrigan tries to right his wrongs and escape Uganda alive.